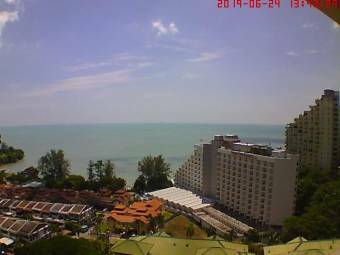 Webcam Penang, Batu Ferringhi: Andaman Sea - A view towards NNW. Hat Yai: Lower U-Tapao Canal, 106.1 mi. Tamot: Klong Tamot, 129 mi. Ko Lanta: Kantiang Bay, 162.3 mi. Ampang: Weather in Ampang - Bukit Antarabangsa, 188.3 mi. Kuala Lumpur: Petronas Towers, 188.6 mi. Ao Nang: National Park Nopparat Thara - Phi Phi Islands 1, 204.2 mi. Ao Nang: National Park Nopparat Thara - Phi Phi Islands 2, 204.2 mi. Panwa Beach (Phuket): Sripanwa Hotel, 205 mi. 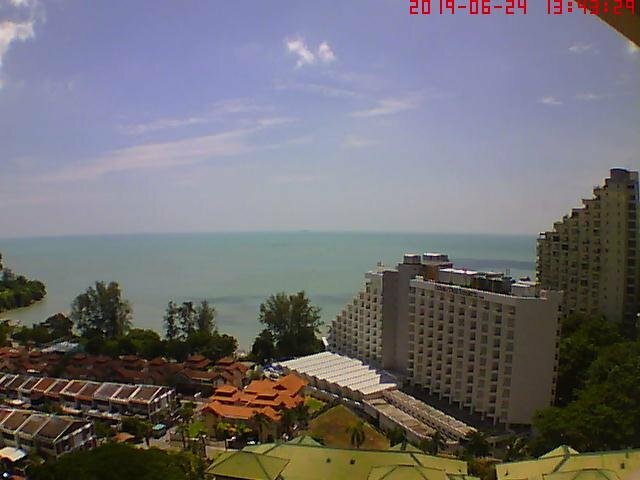 This webcam Penang, Batu Ferringhi with the theme Seaview was added on June 27, 2012 and is operated by tygg @ Weather Underground. It got 8211 visitors since then. Shouldn't this webcam work or should the link be wrong please report that here. You can add this webcam here to myCams.